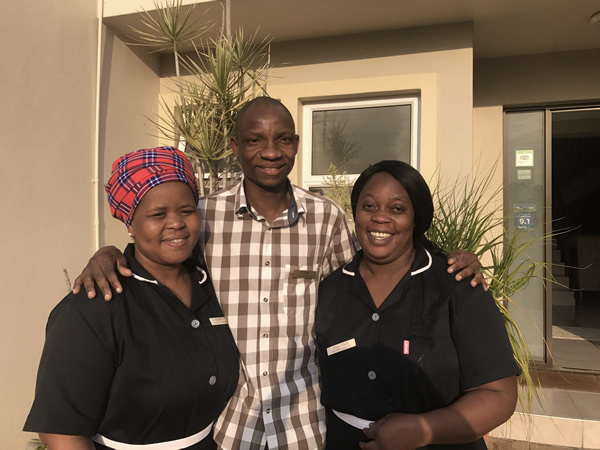 Jo is well-supported by her housekeeping team, Tsunghi and Nancy who you will find friendly, obliging but discreet and not to forget Titus who resides as the Night Manager, ensuring that all your comforts are met. The ladies, Nancy and Tusunghi, are the ones who you will find to be attentive to all your room requirements. They work well together as a team and have an excellent routine to ensure the rooms are clean and guest areas also are beautifully presented and are welcoming. You will find the team very willing to assist, attentive but very discreet. Should you have extra requirements whilst staying with us, such as washing and ironing, one of the team will do this personally for you. Please feel free to ask. We want your stay with us here at Atlantic Breeze to be as enjoyable as possible – please remember to ask us if we can help, whatever your requirements might be. Our passion is people and hospitality and we are committed to building here at Atlantic Breeze a Home from Home Experience where our friends and guests, be it for business or pleasure, will come to stay and wish to return. 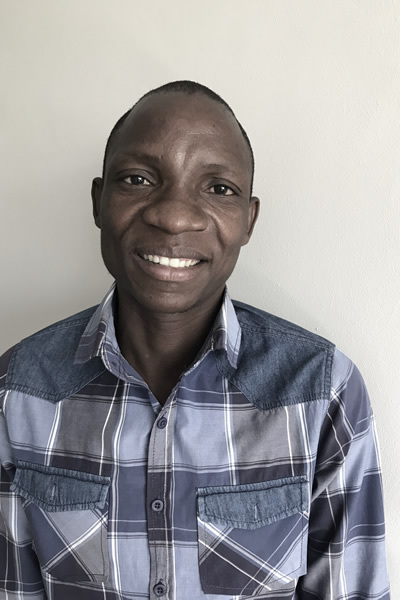 Allow us to introduce our guesthouse team. 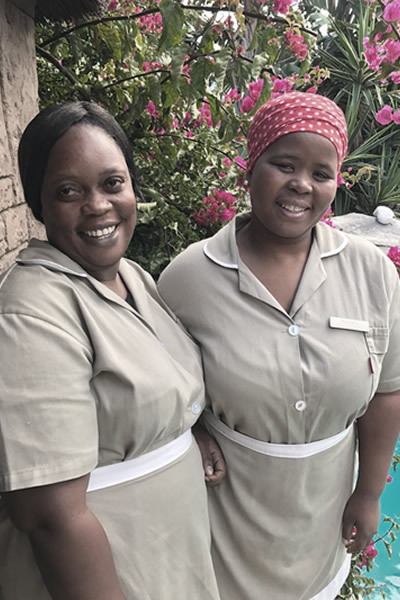 Jo is well-supported by her housekeeping team, Tsunghi and Nancy who you will find friendly, obliging but discreet and not to forget Faith who resides as the Night Manageress, ensuring that all your comforts are met.